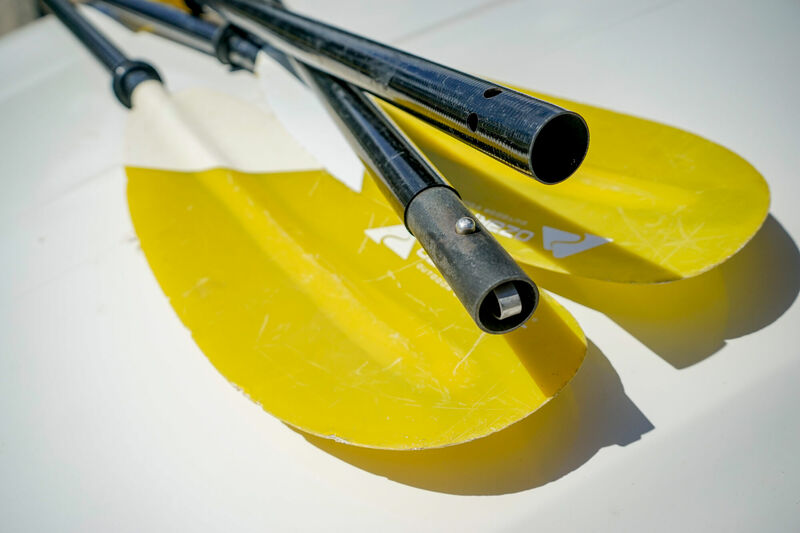 Premium Kayak Rentals available for $10 more per day per kayak. 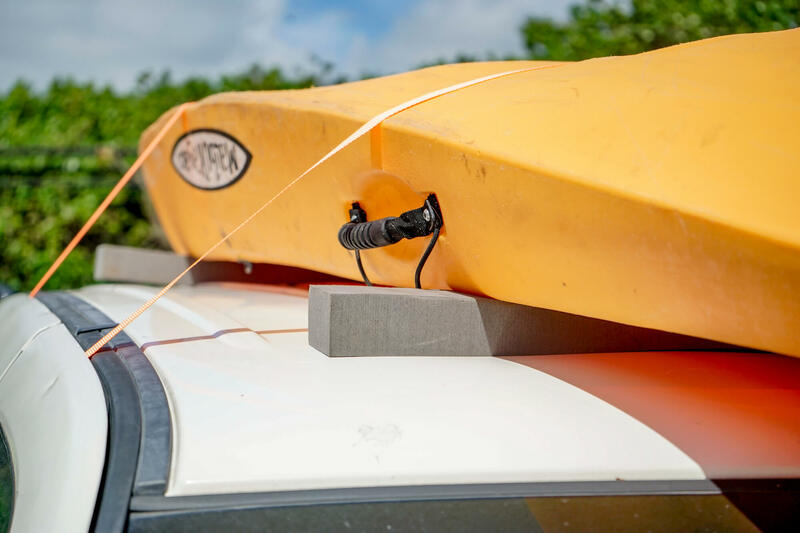 Select the premium tandem kayak option to be guaranteed our newest gear. 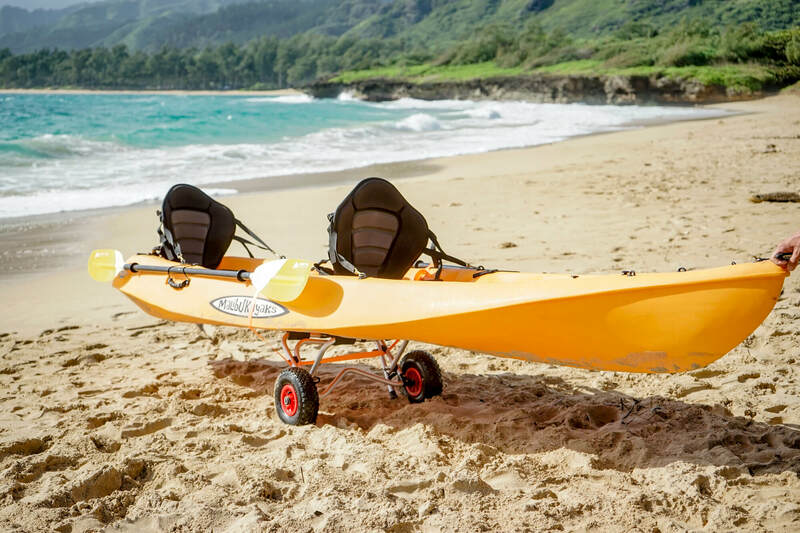 Oahu Tandem Kayak Rentals with free delivery. Great Value with multi-day rentals. Cheapest 3 day rental price. Delivery to cool places like Chinamans Hat (Mokoli’i) or near the Kahana Valley rain forest river. Call or book online to schedule your rental. You will be able to request the delivery time, location and pickup time and location. 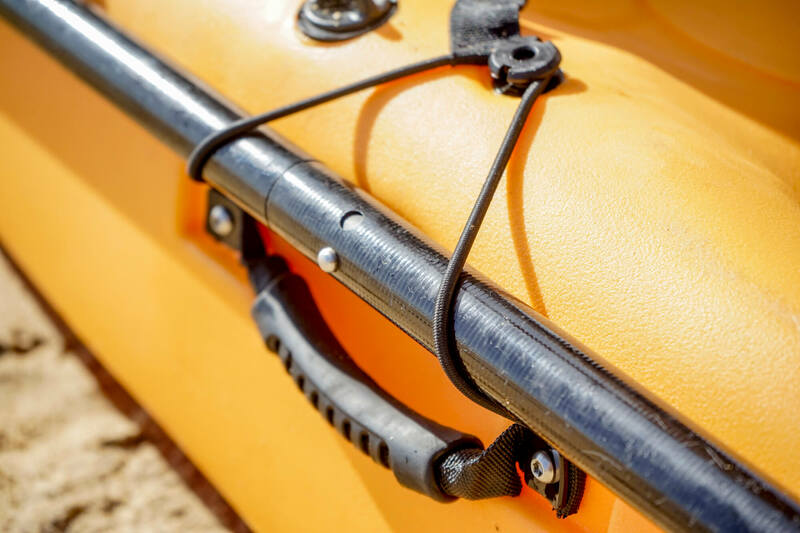 You can also request straps and pads so that you can safely transport the equipment yourself on just about any vehicle. Dry bags are available, so be sure to reserve those when you call or book online. 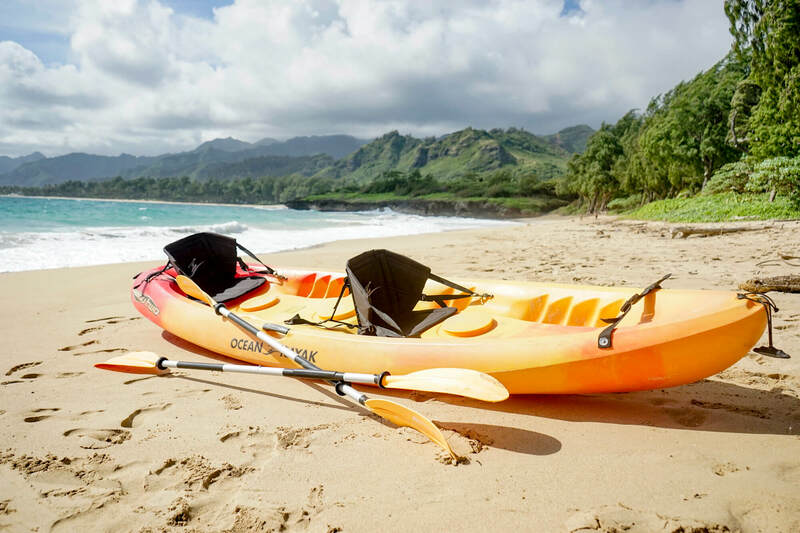 Our Oahu tandem kayak rentals come with seat backs, paddles and life vests. 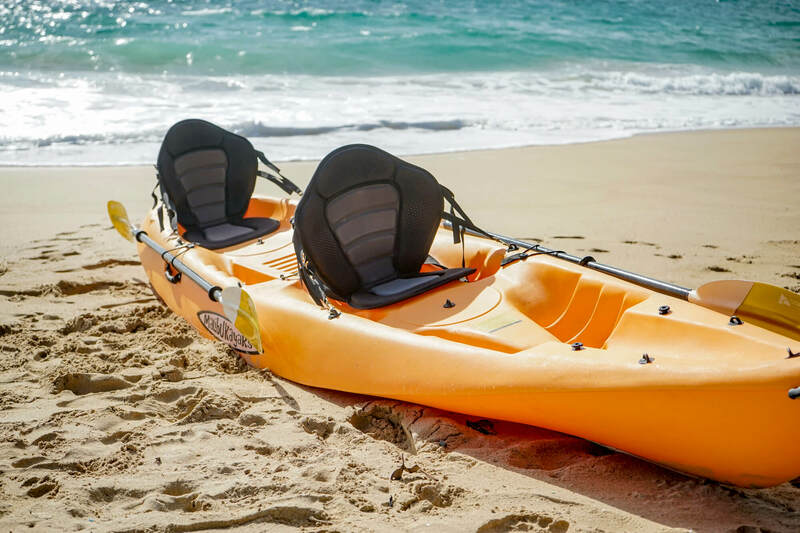 Our main fleet of Kayaks for hire are all tandem (two person) Malibu Two Ocean Kayaks. 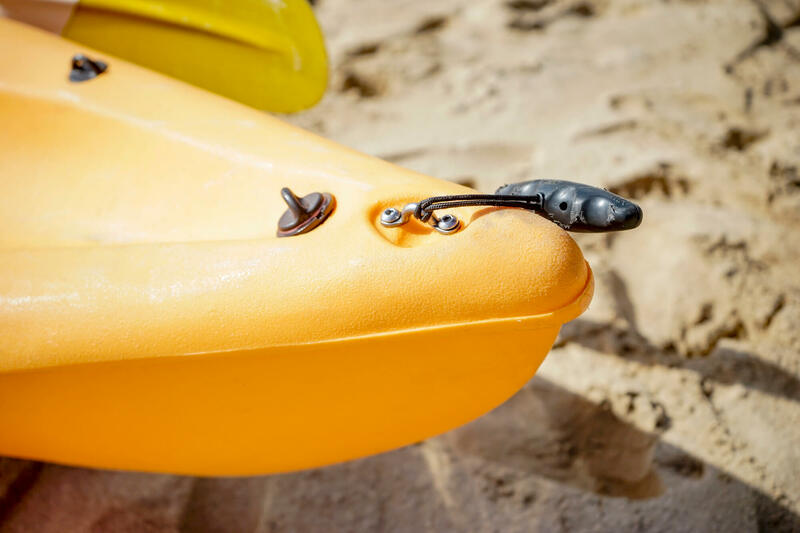 These are some of our favorite kayaks due to their stability, maneuverability and utility. 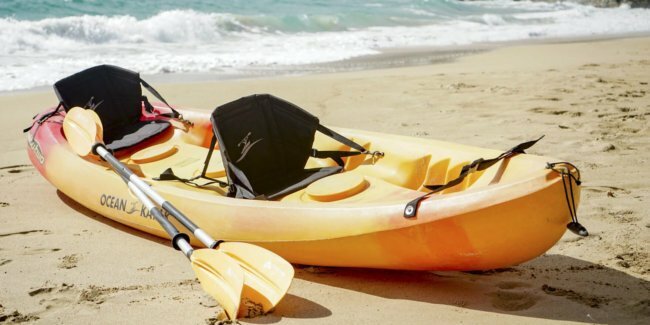 Malibu Twos also have a center seat that makes it great as a single kayak. The lighter hulls, about 57lbs, and moderate length of 12ft really help them perform great in the ocean or off-shore streams. 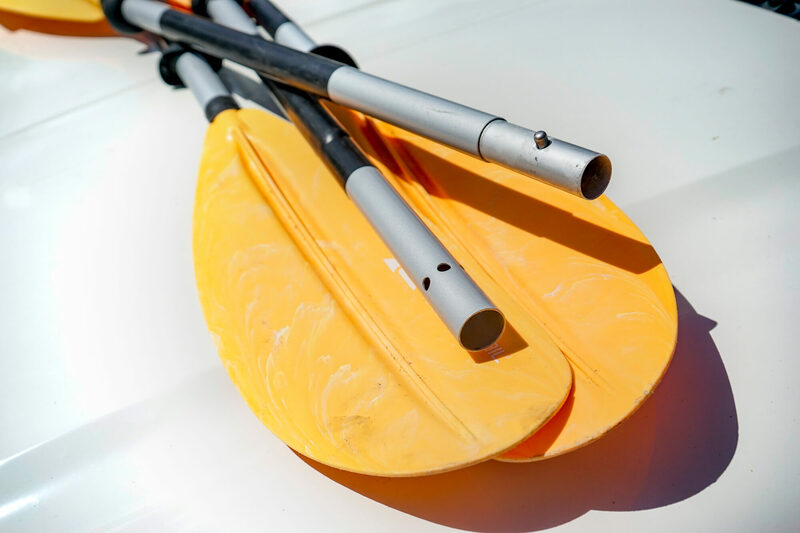 All of our normal rentals come with either aluminum or fiberglass paddles. 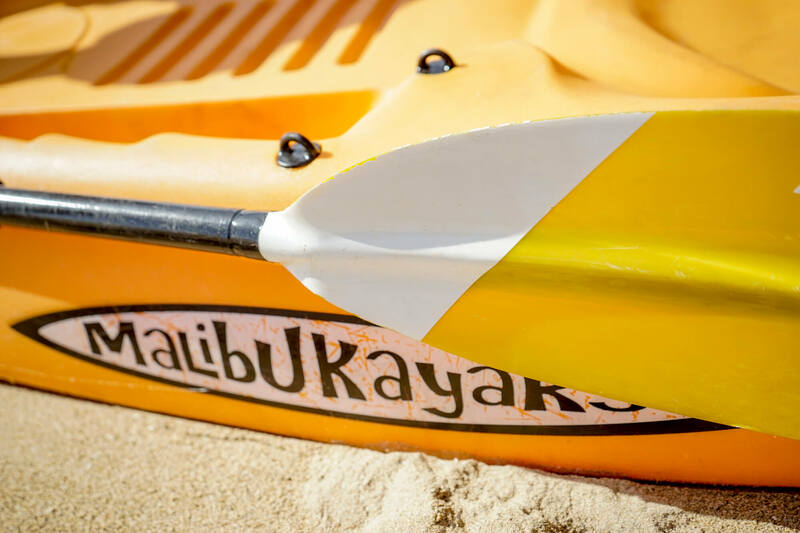 We also have a growing fleet of Pro 2 Tandem kayaks from Malibu Kayaks. 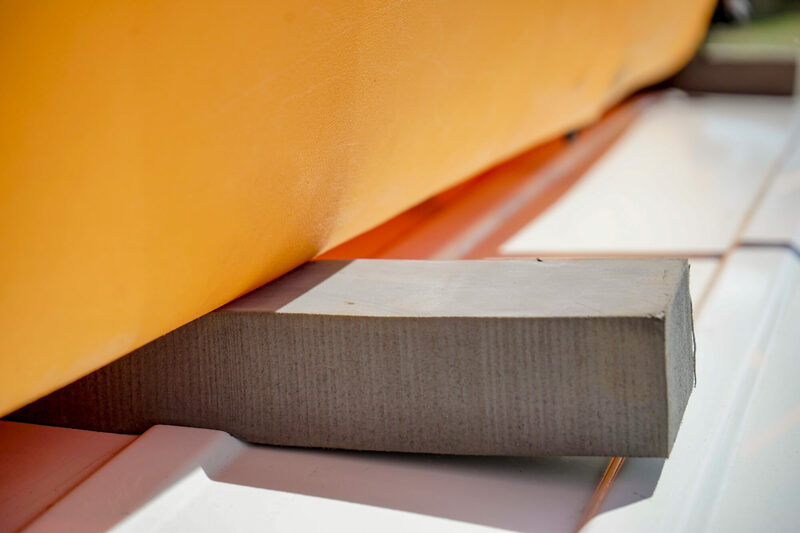 They cut through the water with ease and are great to be used as both a single or double. They are significantly longer (13ft) and more hefty (75lbs), but they make up for it in their 550lb weight capacity and great handling in the especially in the ocean. 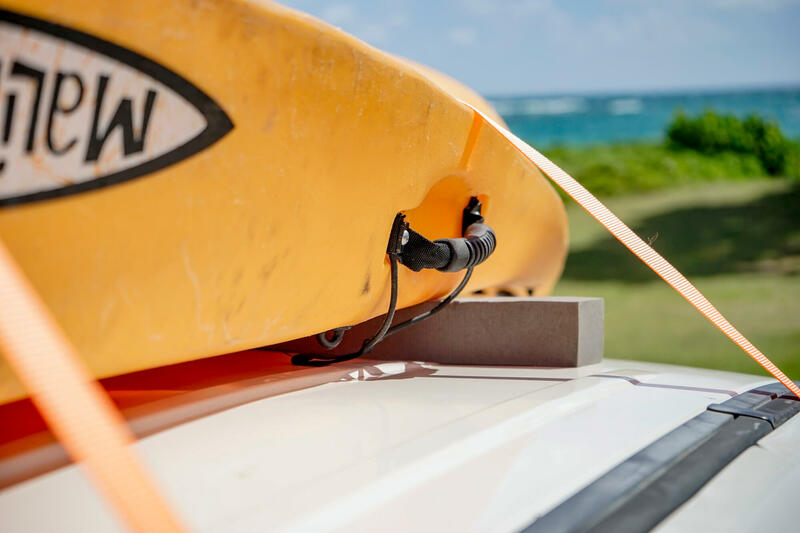 If you select the premium option, you will either receive one of these larger kayaks with light fiberglass paddles or a newer Malibu Two Kayak. 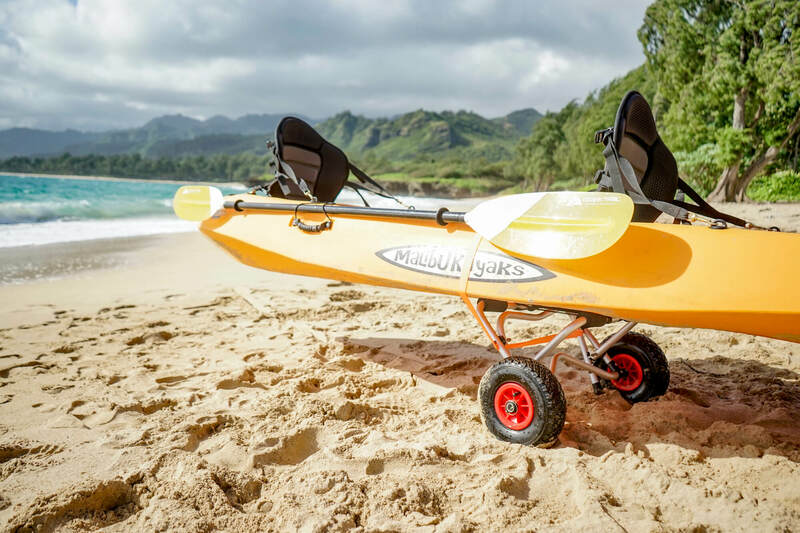 We do have Malibu Two XL or Pro 2 Tandem kayaks for larger paddlers. 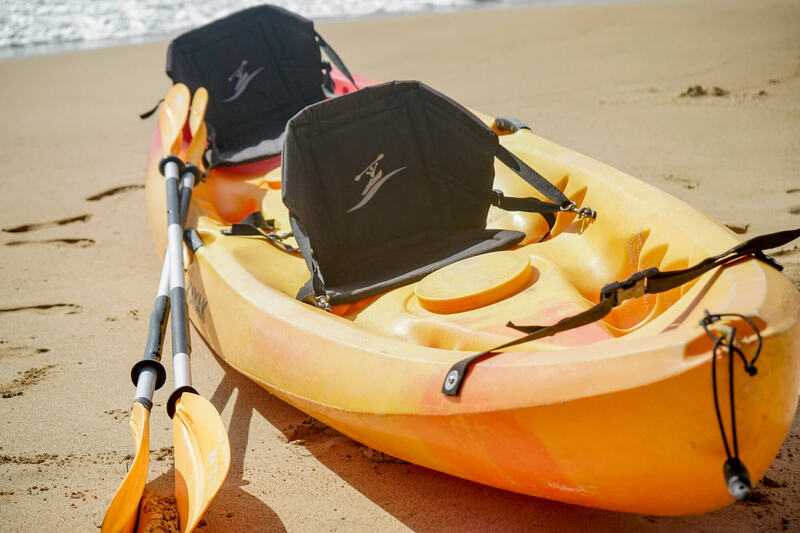 The biggest advantage of the XL kayaks is the weight capacity which is 500lbs for the Malibu 2 XL and 550lbs for the Pro 2 Tandem compared to the regular Malibu Two that has a 425lb weight capacity. 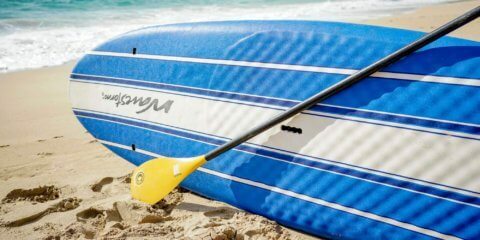 Please request the Malibu Two XL or one of our newer Malibu Kayaks Pro 2 Tandems when you book if that’s what you need. 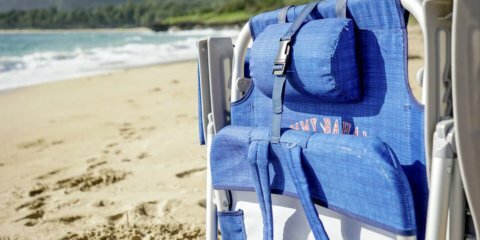 Need Oahu beach chair rentals, but don't want to haul or manage them? We deliver beach chair rentals straight to your vacation home, address or most beach locations. Reserve some reclining backpack beach chairs and enjoy a full day at the beach. 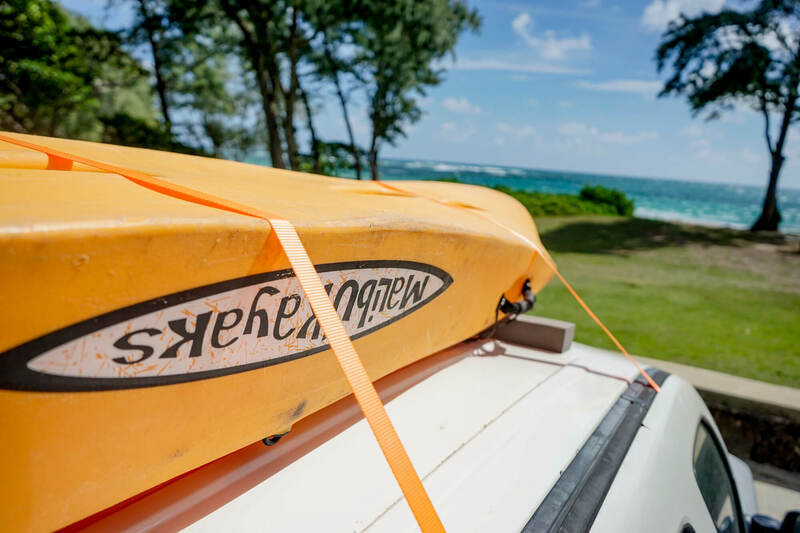 Enjoy the view at beaches such as Kawela Bay, Sunset Beach, Pipeline or Pounders Beach in Laie. 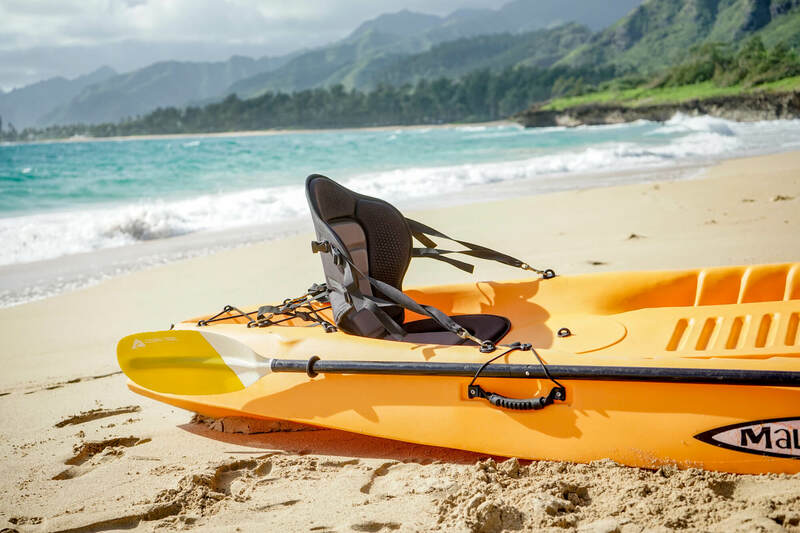 There are tons of great beaches on Oahu to use your beach chair rentals at, just make a note in the booking form, email or call us if you need suggestions.